If, like me, you were made to do difficult, sometimes embarrassing things as a small child for the good of yourself or your family, you have probably heard these two statements of encouragement: “You’ll never see these people again” and “It probably won’t kill you.” Amazingly, both proved true every time, and now, when you must give up watching CSI, House or Bones for a few hours once a week so that you can get math homework help in New Rochelle, NY, you hardly wince. After all, it is for your own good and—when your grades start improving—your entire family will be proud. To find a math tutor in New Rochelle, NY, contact the tutoring experts at NewRochelleTutoring.com by clicking the scholar icon to the left of your screen or by calling (203) 340-0391. After you’ve provided us with your contact information and your specific tutoring needs, we’ll match you with an experienced, reliable and qualified tutor who’ll give you the individualized instruction you need to master algebra, geometry, calculus, trigonometry or whatever math course you’re struggling in—all within the privacy of your home at an affordable price. When Mom made you change clothes in the backseat of the car so Dad could make better time on the way to Florida, the humiliation didn’t, in fact, kill you, and she was right: you never did see any of those people at that particular stoplight in Barney, Georgia, again—thank God. You also developed a quality that’s been helpful to you since. Nerve, bravery, fortitude, discipline—whatever you call it, you’ve got it. Now it’s time to use it. Screw up your courage and contact us now. Soon, with the help of your own personal tutor, you’ll develop the math skills you need to pass the course and prepare yourself for the next one. 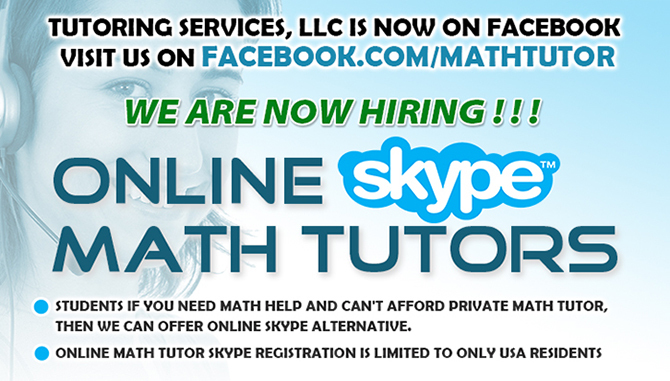 So, go ahead, hire a math tutor in New Rochelle, NY, today. It probably won’t kill you.